Rectangular country breakfast place mat, made from a tyrolean fantasy blue/beige fabric, finishing all around with ivory trim. The price shown is for a single placemat. My creations are handmade in the handicraft, with high-quality material, guaranteeing the originality and quality of Made in Italy. 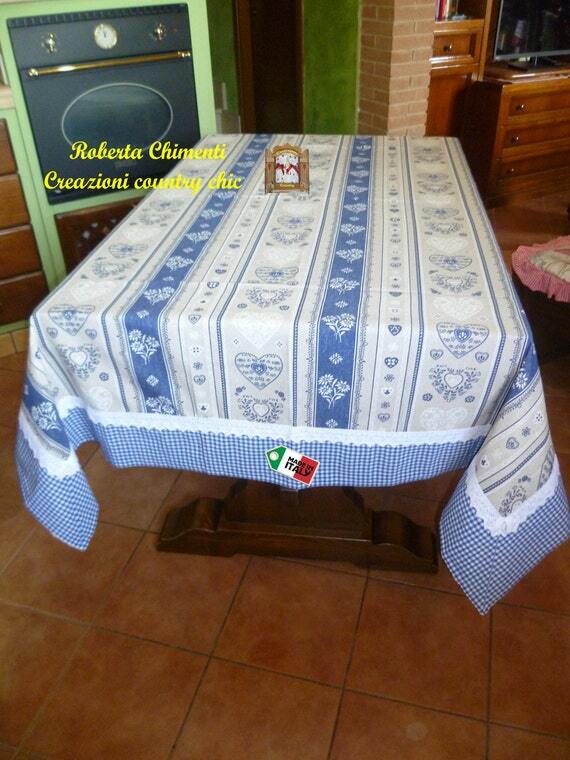 Tablecloth available for a 6ft rectangular table made from a tyrolean fantasy blue/beige fabric and with blue/white gingham border, finishing with white lace. This tablecloth is ideal solution for cottage style and country home decor, perfect for chalet/mountain home in tyrolean style. 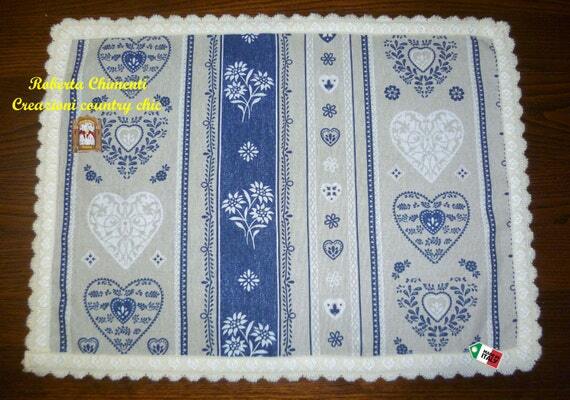 Oven cover home shaped in tyrolean fantasy blue/beige fabric and blue/white gingham fabric, finishing with white lace. Two ties pass on the handle, have fastening with tape velcro straps. 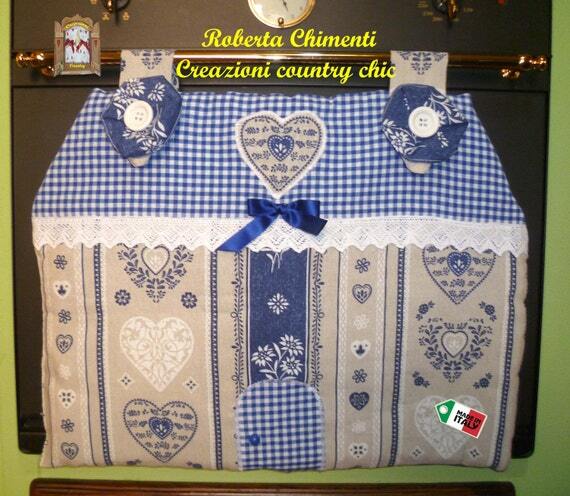 Created with one layers of cotton batting and with white buttons decoration. Central heart and door created with patchwork application. Country linen window curtain with double valance is ideal solution for cottage style and country home decor, perfect for chalet/mountain home in tyrolean style. Central heart with patchwork application. 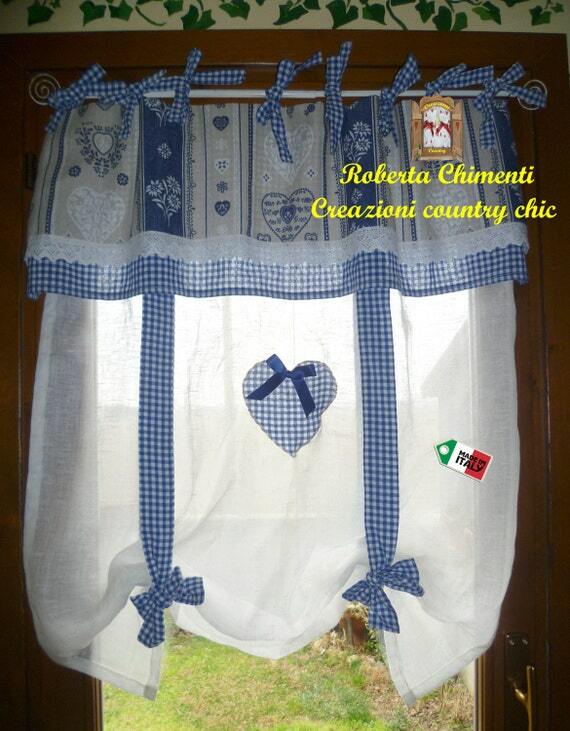 This curtain made from a tyrolean fantasy blue/beige fabric and with blue/white gingham border, finishing with white lace. The ties and the valances are attached to the curtain and for attaching to tie the 8 long laces at the rod. 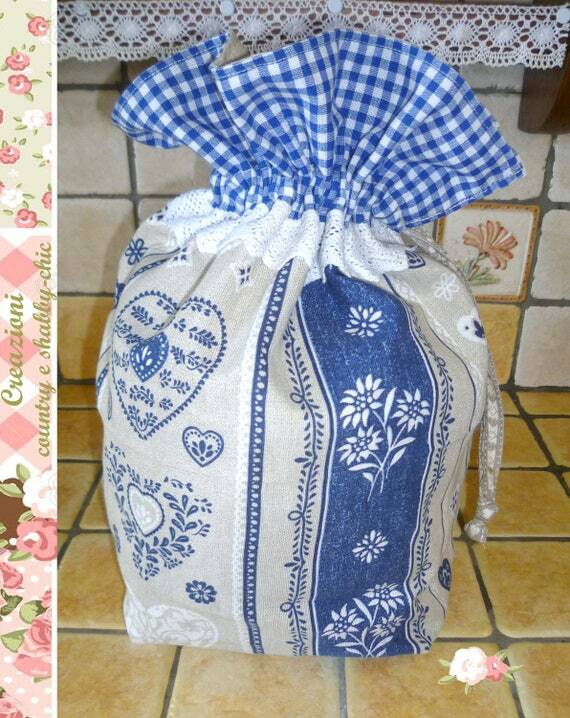 Country bread bag ideal for holding bread on the table and keeping it tidy. 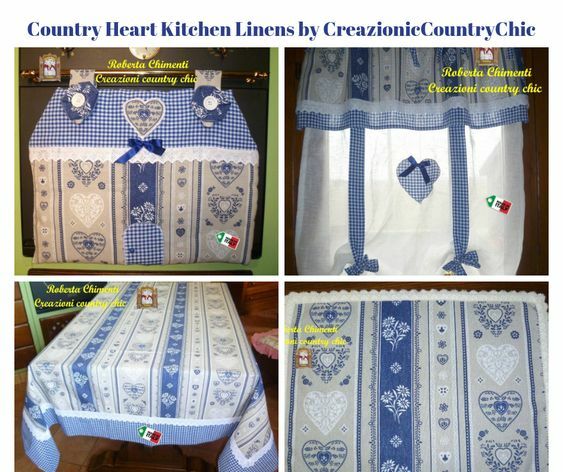 a part in blue/beige fabric with Tyrolean hearts, finished with blue gingham fabric border and white lace; for the interior, a beige fabric was used. The bag can be closed with a cotton lace.